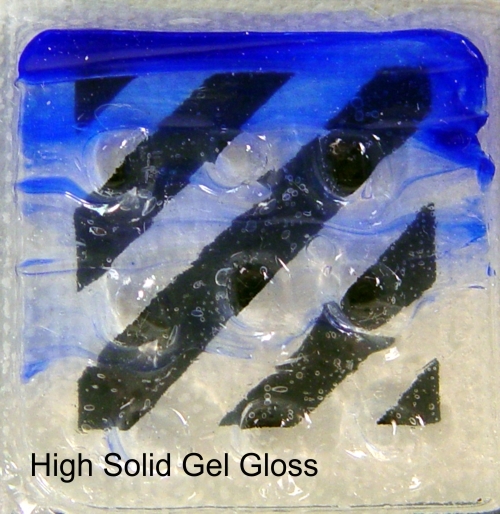 High Solid Gels (L-R: Gloss, Matte) are similar in body to Extra Heavy Gels. Because they contain less water and more acrylic solids, they shrink less than other gels. 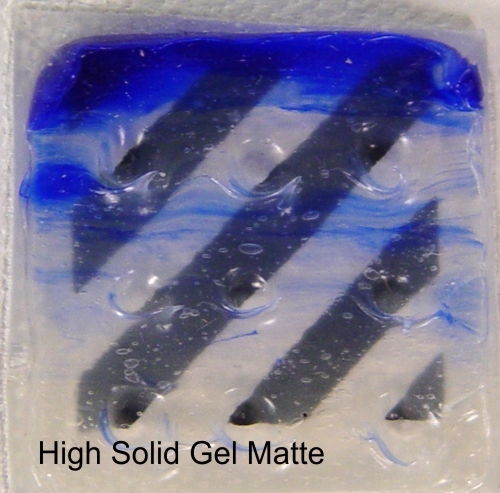 They blend well with colours and will retain brush strokes upon drying. Available in gloss and matte.